With custom furniture there are endless modification options to choose from. If you are interested in modifying one of our existing furniture designs, we can work directly with you in refining your design ideas. 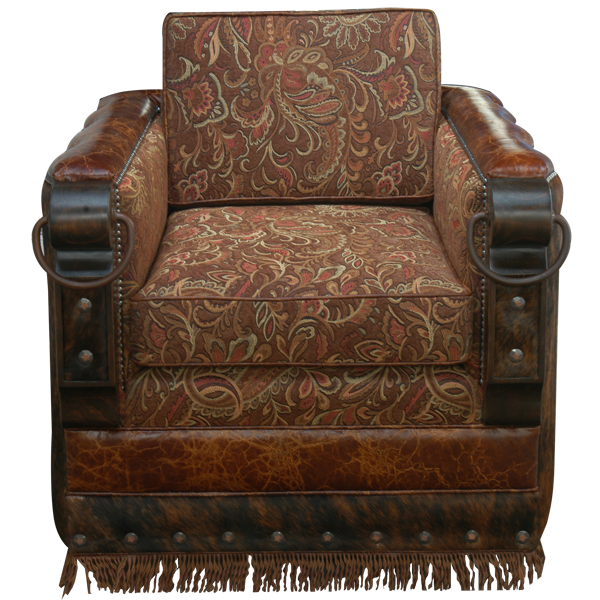 This custom, handcrafted chair has solid wood armrest and vertical uprights, decorated with hand forged iron conchos. Each armrest is decorated with a hand forged iron ring. The chair rest on bun style feet for optimum stability. 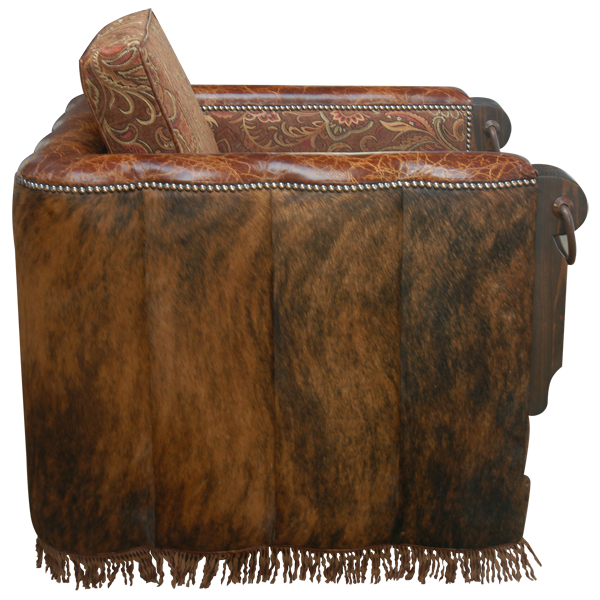 This custom chair is upholstered with fine fabric and leather and the upholstery is double stitched for extra strength and durability. The seat cushion and the inside seat back of the chair are upholstered with patterned, fine fabric. 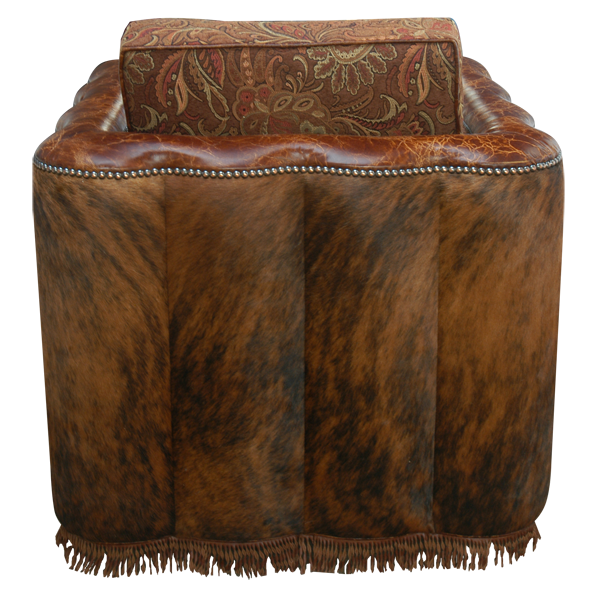 The reverse seat back, the exterior sides, and part of the lower front of the chair are upholstered with patterned real cowhide. The armrest and part of the lower front of the chair are upholstered in embossed full grain leather. The upholstery is precision hand tacked to the entire wood frame with beautiful, decorative nails. 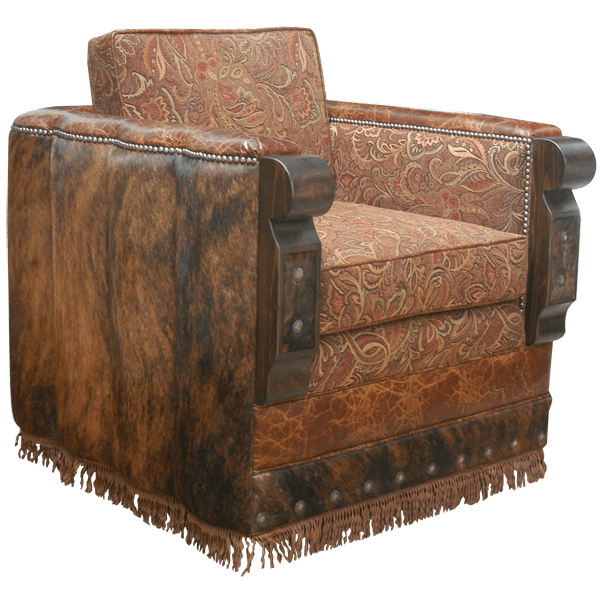 The lower front of the chair is decorated with hand forged iron conchos. The chair’s frame is made with the best, sustainable, solid wood available. It is 100% customizable.